Try to hide your shock, people. 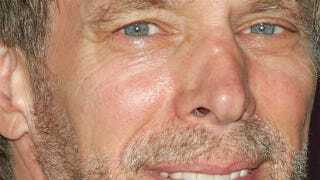 The game studio founded in 2007 by Pirates of the Caribbean producer Jerry Bruckheimer is officially no more. Granted, the cleverly named Jerry Bruckheimer Games never actually produced a single game in almost six years, but still. A representative from Bruckheimer Films revealed the news to Gamespot, reportedly saying that the studio is "no longer a functioning entity." Over the studio's six-year lifespan, several games were rumored to be in the works. Apparently not one of them panned out, though, which is a shame. The venture was never meant to itself develop games, but rather to be a "game incubation studio," according to Gamespot. It seems most involved with the project have moved on (including co-founding president and former Halo 3 executive producer Jim Veevaert, who's now a general manager at Zynga). I can't help but wonder what Bruckheimer could have brought to gaming if things had worked out differently.